TRMI builds two- and three-tier integrated systems using ever-advancing, state-of-the-art software, hardware and network technologies. Our Sentinel™ software suite enables highly tailored yet stable toll collection and revenue management. 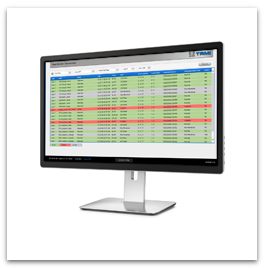 The Sentinel™ software suite includes modules for lane operation, VES/ALPR, supervisor transaction monitoring, supervisor cash in, system administration, audit, reconciliation, reporting, and external data exchange. Our designs employ technology implemented with the Microsoft .NET framework, Oracle Database, and Cisco network security to implement the most current web-browser-based applications. These applications run over existing private networks or over the Internet using high-security virtual private networks, through standard, low-cost Internet service providers.